In the list of hill stations these two places sit right at the top. The places are without any doubt Shimla and Manali. These both places in today’s scenario need no introduction. These place have become self explanatory because of their mesmerizing beauty. 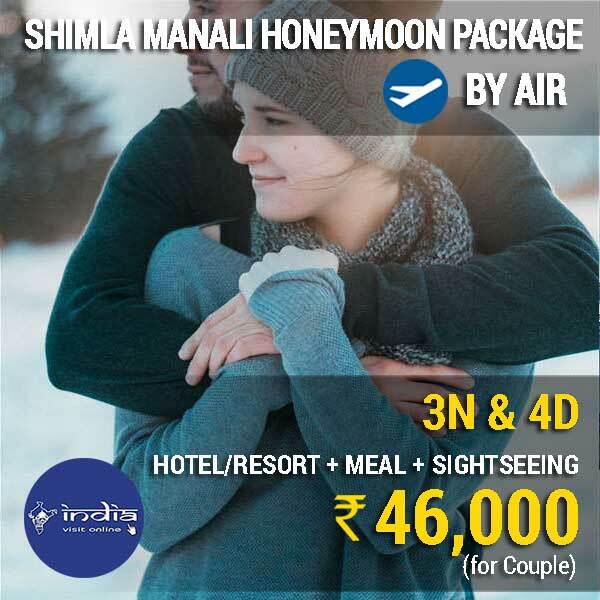 3 Night 4 Days Manali Honeymoon Package can started easily. There are many people who reach Shimla themselves and then start their package. There is a very popular train known as the toy train which runs from Kalka to Shimla. The scenes from those train is amazing and will short of words. The unique thing about Manali is you get to see snow through out the year whether it is winter season or summer season. So the best thing is now you can play with the snow anytime you wish to. One does not think much before visiting Himachal scintillating places. Shimla and Manali are places which attract tourists from abroad too. They are stunned by the beauty of Shimla and Manali. All in all these are the place which have a lot to offer you. You can book the package according to your preferences and get heavy discounts too. Do not miss out on the important spots in Shimla and Manali which are very popular. Try out some adventure activities in Shimla and Manali as well which can give you an adrenaline rush. Make you trip to Shimla and Manali worth it. There is an amusement park in Kufri. The amazing part which adds to the list is it has the highest go kart track in the world and is treat for children and the big ones. You can easily spend an entire day there enjoying and hanging out. Day 01 – Check in to the Manali Hotel / Resort and Honeymoon Rest: You get to Manali Volvo stand at about 8 am in the morning and a car from the hotel/resort will pick you for the hotel/resort at the same time. You will get the check in at the same time. On the first day is reserved for the rest of honeymoon as you come after a long trip through the night. However, in the afternoon hours one can visit near the market on its own and experience the natural beauty of the place and local. Day 02 – Rohtang Pass Tour by Personal Car: On this day a car will pick you from the hotel / resort in the early morning just after your breakfast. Our car will drop you finally at the Rohtang pass. It is a whole day’s outing visiting Kothi, Rohtang Pass is one of the most visited tourist spots. 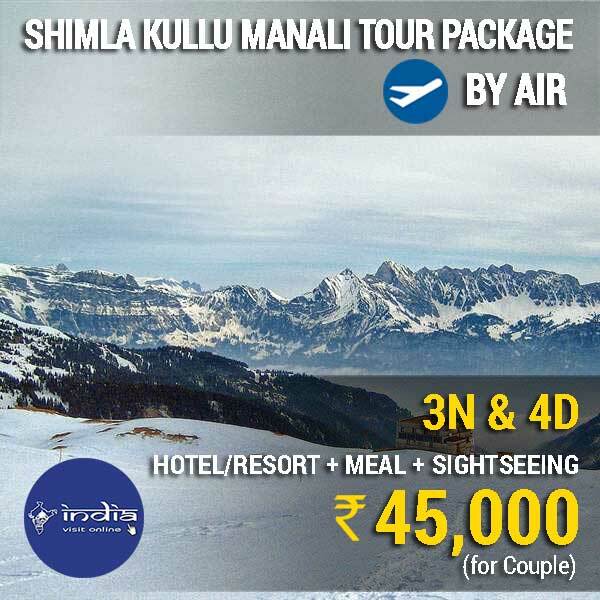 Our Kullu Manali Honeymoon Packages always have the above sightseeing places. In the evening that same car will drop you to the hotel / resort. Dinner and overnight stay are at the hotel / resort of Manali. Day 03 – Kullu Manikaran Tour by Personal Car: This similar to Day 03 our car will pick you from the hotel or resort. This is a religious tour. Similar to Day 04, our car will pick to you from hotel or resort. In this tour you will visit some special temples. You will see the shawls factories. This is the cool and enjoyable tour. After tour return to the hotel or resort in Manali in evening. Dinner and overnight stay are at the hotel / resort of Manali. Day 04 – Local Manali Tour by Personal Car and Check out to the Hotel: After get an morning breakfast, similar to Day 04 our car will pick you from the hotel or resort. Your morning is spent city tour visiting Hadimba Devi Temple, Manu Temple, Tibetan Monastery and Vashisht Temple. The afternoon is free for some personal sightseeing or local market for shopping. Finally our car will drop you at the resort or hotel in Manali. You will pick your lagguage and our Volvo bus will departure for Delhi in the evening at 4-5 PM.